We Help Our Community Maintain a Happy, Healthy Smile. We have a growing team comprised of experienced dentists and supporting staff members. We offer a variety specialized and general dental services. Visit our services page for more information. Whether you have a question about our services, need to schedule an appointment, or find out where our office is located, visit our contact page for more information. Welcome to Great Lakes Dentistry! We are a family-friendly practice dedicated to providing the highest quality care for you and your family in a comfortable environment. Led by our experienced dental team, we are excited to offer you and your family the latest treatments and services you need for a healthier, happier smile. Whether you are looking for a complete smile makeover or just need to visit us for a routine teeth cleaning and dental exam, we can meet all of your dental needs and exceed your expectations of a dentist. Located in Royal Oak, Michigan, our office is proud to build a legacy of offering excellent dentistry in a caring, compassionate environment. Our gentle dentists and dental team look forward to serving all of our family, friends, and neighbors in our community, as well as the surrounding towns of Clawson, Sterling Heights, Troy, Ferndale, and Berkley, Michigan. Our Dentists are always happy to welcome new patients, and we hope you and your family will contact us if you are interested in learning more about how we can transform both the health and beauty of your smile. We look forward to helping you achieve a smile you can be excited to share! Dental crowns are tooth-shaped caps that completely encase a tooth up to the gum line. The branch of dentistry focused on improving the overall appearance of your smile. The branch of dentistry that focuses on taking care of your overall oral health. Our treatments focus on prevention and repair of damage caused by a number of gum conditions. We use high-powered dental lasers to aid in and improve multiple dental treatments. Treatments designed to improve diseases and repair damage of your mouth, teeth, jaws, and face. The branch of dentistry that focuses on treating the way your teeth relate to one another. Comprehensive treatments aimed at preventing and treating tooth decay and damage in children. We take pride in ensuring every one of our patients has a positive experience at Great Lakes Dentistry. We strive daily to exceed your expectations of a dentist. If you want to know what our patients are saying about us, we encourage you to visit our reviews on Facebook and Google. Everyone was so nice! I look forward to going back to complete my treatment after seeing the two specialists that the dentist referred me to. Thanks to all of you at Great Lakes Dentistry. Kelsey is an awesome hygienist!! Dr. V is caring and remembers his patients, very engaged. Also, Sarah is the most welcoming, soothing and helpful front office rep; just love going to the dentist now! It makes a difference when you have a caring staff. I would recommend Dr. V and his staff to anyone who may have any fears or dislike of visiting the dentist, this office will change your opinion and you will love going!!! Always an excellent experience! The staff, hygienists, and docs all make for a calm, welcoming, and overall positive experience. I always leave feeling very well cared for. After going to the same dentist for 30+ years he retired. A friend recommended Dr. V, that it would be worth the drive. I live in Canton so it is 70 miles round trip. The friend was correct in recommending Great Lakes Dentistry. His office staff is competent and friendly which usually tells you their boss is also. Dr. V was very courteous and put me at ease. I am so happy I have my dentistry needs met now that my family will be going over there also. Thank you Dr. V and your staff for a pleasant dentist visit. Great Lakes Dentistry is certainly worth the drive. Always a great experience. Quality dental work, great staff and more than willing to get you in when you have an emergency. Everyone there is incredibly friendly and skilled. I actually look forward to going to the dentist! Dr. V and staff do such a great job!! Dr. V has an excellent "bedside manner". I am one who stresses when major things have to happen to my mouth and he does what he can to eleviate my unease and even takes breaks to help calm. Thank you, Dr. V, for being a doctor who looks out for others first! Favorite Dentist & Staff! Very friendly, professional, & high tech! Awesome! The staff is always very friendly and the quality of work has been exceptional. I would highly recommend them. Super friendly staff, and same day crowns keep me and my family coming back. Dr. V also has a good music playlist going.. bonus! Great staff, efficient and make you very comfortable. Glad we switched to Dr. V.
I thought I needed a filling replaced on a tooth that also had a root canal done about 10 years ago....all by another dentist. Apparently that tooth should have had a crown put on at the time of the root canal and I'm lucky that tooth didn't break. Dr. V took great care of me and I got a crown put on in 2 hours!!!!! Seriously..2 hours? Yes. It was amazing. It's my canine tooth, so very visible. It actually looks better than the real tooth which was discolored. I've had 2 other crowns done by 2 different dentists and the experiences were not great and very time consuming. His assistant was great...Samantha I think, and Sarah at the desk very nice as well. I would recommend Dr V's office to everyone! Very professional and thorough! I am always pleased with my care here! Just recommended this facility to my sister and her husband who are currently looking for a new dentist because they are not happy with their current dentist. What an experience, the staff and Dr. Shawn Van de Vyver are very professional and friendly. I was terrified because 1) I have anxiety of dental offices and procedures and 2) feeling ashemded of my teeth. 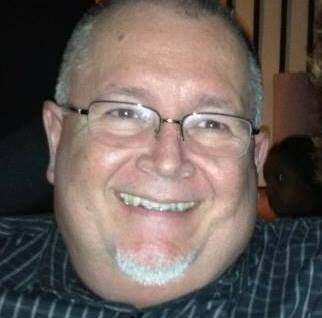 However not once did I feel judged or looked down on about my current teeth and I am greatful and very appreciative for that, thank you Great Lakes Dentistry. 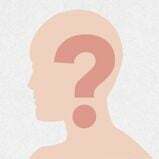 I am looking forward to future visits and a happy and healthy smile ????. Thanks again and have a wonderful day. Super friendly and helpful staff. They offer weekend hours which is awesome for people like myself who can’t make it during the week. They use amazing technology, are thorough, and walk you through what they are doing. Some people stress going to the dentist. Well, stress no more at Great Lakes! As a new client I was made to feel welcome by all of the staff members I came into contact with. Very professional but cordial and friendly group. Thank you. Best in the area. I even sent my mom! Great staff and 1 Great Dentist. Love this dentist office. Every one there is amazing a so patient. I was referred by a friend and I am so happy I made the move. My teeth look amazing and they are cooperative prices. The most pleasant experience I have ever had at a dentists.UPDATE: I had originally rated it a full 5 stars but then they spammed my phone with advertisements for their services. Update 2018 December: new ownership I’ve limited experience here with just one cleaning. Dr, V. Sold out and our verdict will come in a month or so after my daughter visits soon. Original review with original owner Below. MY wife daughter and I all go to Great Lakes Dentistry. After years of avoiding a bad tooth I went in for a root canal. Something I was scared to death of. Dr. V did an amazing job and though he had to double novocaine me, I was relieved to experience at most a 2 on the pain scale. He was aggressive where it mattered in making the crown adhere and gentle where he needed to be. He even had some good calming words to reassure me as we moved forward. I'm gonna go for root canal 2 in a month or so. He made me feel good enough to do it again. As for cleaning appointments I'd just say find one you like and request them. We've had preferences even amongst my girls as to which one we like. Dentistry is a tough job. I read a 1 star review and thought what a tough spot a dentist is in. They are damned if they do and damned if they don't. This guy is really good at what he does and he cares. That matters. I had the opportunity to go to Great Lakes Dentistry in Royal Oak today and was extremely impressed. From the initial interaction (front desk & registration) through to the hygiene appointment and closing with the dentist's exam - everything was fantastic and I highly recommend this dentist. I have been to other local Royal Oak dentists and while this location is tucked away in North Royal Oak, the team was amazing. Miko, the Dental Hygienist, was fantastic with great chair-side manner. Dr. Chadda provided a very good perspective on some follow-up needs and even went so far as to show me on the x-rays what needs repair and what issues are considered watch areas. Great experience and highly recommended. I had used this dentist for a long time before the change in ownership. I recently went on the website to request an appointment. My request could not be honored (completely understandable) so they offered me a different time 2 weeks from when I requested (being busy = good problem). They offered a time a week after that. I couldn’t make it work in my schedule. I replied to that email with my availability during the week they suggested and the week after with a lot of availability. This was on 1/23/19. I have not heard back from the office since my reply.I have been a client of this office for better than 6 years. I have not had a problem with them until the ownership change. New ownership does not seem interested in retaining clients. My visits at Great Lakes Dentistry are always enjoyable. Right when you walk in the ladies at the front desk always greet you with a warm welcome and a big smile. But it doesn’t just end there. The dental team always make every effort to make sure the patient experience is one that is thorough, comfortable, and convenient. Their smiles are absolutely contagious, they’re attentive and knowledgeable, and very professional. 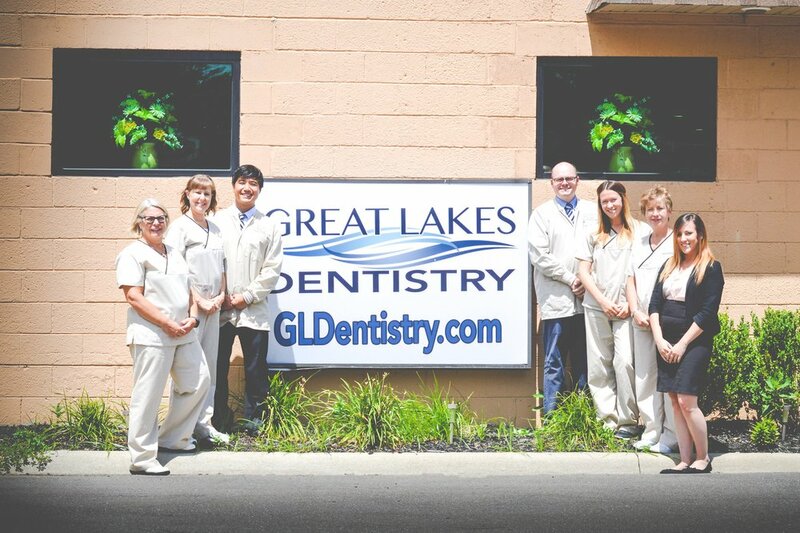 This is a remarkable dental team that deserves kudos for everything they do!I highly recommend Great Lakes Dentistry! Amazing patient experience, great team! I hadd to get 3 fillings and I dont like the needle in the gum but my dentist and her assistant we very comforting and kept my mind off the whole procedure by talking between the two of them how many restaurants are now in downtown Detroit and how many they ate at so far. Boy are they greedy... but more importantly they were thorough, kind and professional thanks for making an uncomfortable procedure tolerable. I've been a patient for about 5 years. Had a scheduled cleaning last Saturday with Dawn (who is always warm, friendly and professional) and met new owner, Dr. Chadda, for the first time. Unfortunately, my x-ray showed a cracked crown! Not the best news, but I returned this past Thursday and Dr. Chadda skillfully and painlessly removed my crown and put in a temporary until the stronger one can be made/placed. Front desk staff is always competent and accommodating. Great experience! It has taken some time but I can now walk into the office and smile. I have high anxiety about going to the dentist and finally went. The staff was wonderful and caring. I ended up having some dental implants put in. Dr Van did as much work as possible each time to limit the amount of visits. Today I went in and had my teeth cleaned and 2 fillings. It was a walk in the park. Thank you to the entire staff for helping me face my fears. See you in 6 months! Today was my first visit for a cleaning and the staff was very professional and walked me through every part of the process. I felt very comfortable the whole time. Everyone was friendly, and I would definitely recommend them to a friend � Also, The office has very up to date tools/products compared to other offices I have been to. Very professional. The laser technology that was used was quick and easy. Dr V is highly skilled and made me feel very comfortable. I will be coming back for sure, and highly recommending this office!!! Crazy to think I enjoyed my crown! Thanks for the fun afternoon and the great service. See you in 6months. We as a family drive from Canton to Roseville because the staff and Dr Van has always done excellent work. I recommend them highly. Always well taken care of at Great LakesDenistry. Staff are friendly and make sure you are at ease and comfortable when they are cleaning your teeth, etc . Same day crown!!! This place is amazing! The staff is very friendly! If you need a dentist in Royal Oak, I highly recommend this office! Absolutely love this place. Got a Crown done today, complete in one day. There was no pain three-dimensional pictures were taken love this new technology. The office staff is the most friendliest I've ever met. If you looking for a dentist in the N. Royal Oak area, I would highly recommend Great Lakes Dentistry. Went for a long overdue cleaning due to complications from a car accident, was like I had been there the day before, fast, friendly, and professional. Had a root canal and two new crowns - all in one morning! Dr. V and his staff were very professional and friendly and NO PAIN or discomfort! I would recommend this dental practice to anyone. Excellent Dentist. Very clean place. Awesome staff. Very patient people with my issues with gagging. We have been going here for a few years and my appointment today was wonderful as always. They are pleasant and quick. Thanks to Dr. D and the staff made my dental visit free of anxiety, due to their patience and encouragement the whole time. Dr. D and his assistant work fast and efficiently together as a team. Time went by quickly and before I knew it I was walking out the door. Thank you staff at Great Lakes Dental. Dr. Van de Vyver was great. he made me very comfortable and his staff is very helpful and friendly. I would definitely recommend either of his offices. I have been to both. Love it for our kids (7& 9) and us! Flexible appointment times and a caring staff! Dr. V is the best. The entire staff is professional and caring. No pressure no pain. I would highly recommend them. Had a great experience at Great Lakes Dentistry. Dr. Shawn Van de Vyver and his staff are highly knowledgeable and professional. Had a great experience at Great Lakes Dentistry. Dr. Shawn Van de Vyver and his staff are highly professional, kind and knowledgeable. Ashley did a great job on my teeth cleaning. Office staff made my visit pleasant with their friendliness and professional mannerism. Would highly recommend Great Lakes Dentistry! Dr. Van DeVyver is a great dentist, we started going to him in 2006 when he was on the east side and followed him to the current location. He always takes time to explain everything. The whole staff is wonderful! Enjoy everybody that works here. Makes you feel like one of the family. Dr V. and his staff rock. He is professional but takes the time to talk and gets to know you. I have even recommended my boss and his family and they like Dr. V. and GLD. Dr. Van de Vyver and his staff were great! Going to the dentist for any reason can be scary. Everyone there made my visit very comfortable and stress free. Amazing dentist. I was new to the area and a coworker recommended GLD and I'm absolutely obsessed. Such a clean place, friendly staff who are gentle on your teeth. I used to dread going to the dentist but I actually look forward to going to the dentist now 🙂 thanks for making me smile, Great Lakes Dentistry!! Dr V. has been great! I had braces put in last September and the progress is going really well. He's easy to talk too and is up with all the latest dental techniques. I've had to come in last minute a few different times and he's always been very accommodating. I even showed up a half hour early one time and he saw me right away even though I knew he was busy. Thanks doc! I really like my dentist. He uses the fanciest brand new technology. He does super well at caring for my teeth. Thank you, Dr. Vander Vyer! I was one of those people who put off the dentist because I was scared to death of going until I was in pain one day, Sarah said come in right now. I needed a root canal and Dr. V and Marie made me feel so comfortable. So a couple weeks later I came back for 6 crowns in 1 day so I didn't have to keep coming back and forth. Needless to say I'm not so afraid to come to the dentist anymore because Dr. V explains everything he's doing and works around your schedule and your needs and has late hours. Marie was also my savior because she helps you relax for all you sissies. Never thought I would say this but I love going to the dentist! Excellent experience. Very fearful of the dentist as I have a chronic pain issue, and they put me at ease right away. Very gentle, thorough, kind, knowledgeable and caring. We will be back. They took great care of me and my family, including my two year old daughter. She now keeps asking to 'brush, brush'. Thank you Dr. V, Dr. Miller, Dawn, Sarah and everyone at Great Lakes Dentistry, Royal Oak. You are the best! Everyone should have Dental Professionals of this caliber. Can't believe how easy it is to get a crown with Dr. V! Highly recommend him and his staff!! Dr. V and his staff are the best! I highly recommend GLD! Dr. V is great and his staff are very friendly. Of all the cavities I've had with different dentists, I've been the most comfortable when Dr. V has performed the fillings. Very caring and professional staff. I always walk away grateful for finding such a great dental office.